Experimental archaeology, caveats and disclaimers. Also some pluggy bits. …Well okay then… Perhaps they all went to sleep the moment I uttered the words “history project”. However, these folks were generally kind and I tried not to let their suggestions bother me overmuch. Most of the pestiferous comments came from reenactors. One chap took exception to the style of washers that appear on Firefly. (“Modioli” to the truly erudite.) Clearly they are not typical of anything that has been dug up. 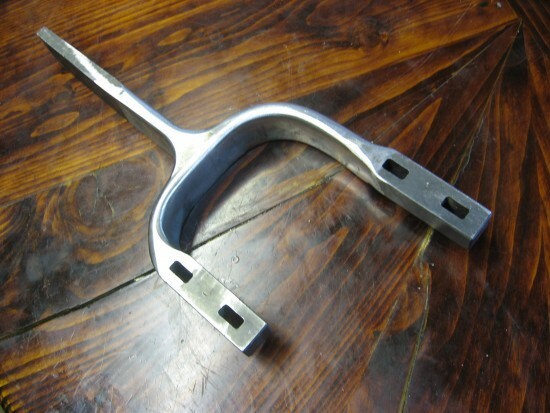 They were made that way to increase the stability of the crossbars during certain spring tensioning experiments. With Phoenix the historical shortcomings of Firefly’s washers will be addressed with more authentic full collar versions. Rome wasn’t built in a day, nor are effective reconstructions of her torsion artillery. If you are a reenactor and reading this blog with your eagle eye ready to pounce on something that can be shown as “inauthentic”, here are a few caveats to help guide you in your criticism. (1) Whatever you are thinking of criticising, it is very likely I have agonized over it to a certain degree. While I am fully committed to the idea of ultimately achieving parsimony in the designs that are pursued in these reconstructions, I do not consider myself a slave to it during the development process. This is because a large part of my work is to conduct experiments to see what made these machines function as effectively as the record suggests. At times these experiments may require adding components that, in all likelihood, would not have been seen on the originals. Like the doppler chronograph hanging on the front of Firefly, or the Vernier plates counter washers that are used to produce finely grained rotational adjustments for the washers. Eventually I hope to be able to remove any complexities that were added for testing purposes. Take this design for a cable backed limb. It proved successful after nine previous attempts did not. Some of the draw weights I was experimenting with topped 5500 lbs. A couple of limbs outright broke. Albeit without much fanfare thanks to a Kevlar safety strap. Certain highly engaged fellows have suggested that this type of limb is not at all “authentic”. 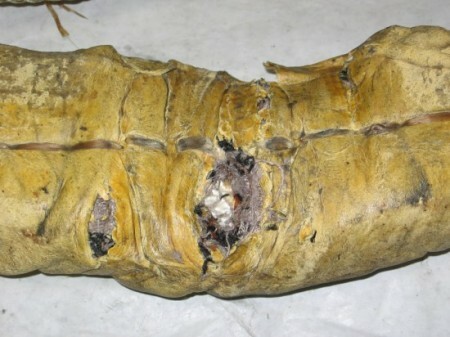 …..Epoxy soaked Dacron yacht braid not authentic? Who’d have thought? However, as a stepping stone to a more historically correct steel tension rod, this way of going about limb development has many advantages for the tests we are doing. Little things like safety come to mind. Or selecting the size and grade of steel rod, now knowing 11,000 lb. 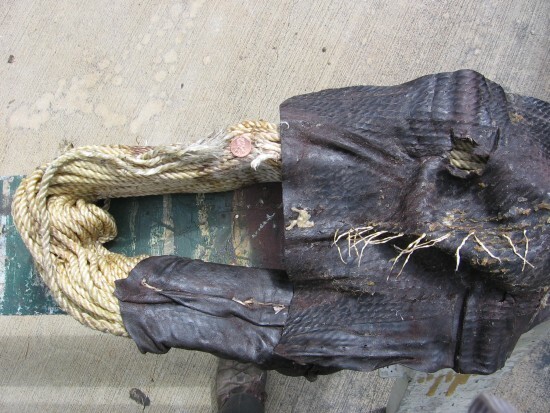 test yacht braid is sufficient to back the limb. Or developing the attachment techniques to anchor an advanced version of Kevlar safety strap down the relatively stress-free middle of the limb. My approach is to first develop authentic performance within as plausible a platform as possible, take note of those places where authenticity in the build may have been breached, and then do the reworks needed to bring questionable areas more into historical compliance, all without harming the performance overmuch (Notice I said “more into historical compliance”, there are no absolutes of perfection possible here.) The safety strap will always be with us though, and the authenticity police will just have to lump it. I do not believe I have ever suggested that our work here was geared towards making a “perfect” show-and-tell replica of how these machines must have appeared. No one really knows, nor will they unless a complete specimen is found. Even then, there were in all likelihood any number of variations on the basic design. Iron frame ballistas appear to have spanned at least three centuries, perhaps more. Variations are inevitable. The unknowns are vast. Similarly, using Heron’s description of a small Cherioballista to validate interpretations of much larger machines, like the Orsova, is fairly presumptuous. There are just too many imponderables for narrow windows of textual evidence of this sort to be relied upon. Soft evidence vs. hard evidence? Clearly I favor the latter, and even then I’m quite happy to admit I’ve probably got parts of it wrong. It’s just the nature of the beast. This is an experimental game we are playing, based strictly on replicas of certain artifacts, just like the name of the discipline suggests. Inevitably anyone working in experimental archeology will mix and match the evidence to suit their particular viewpoint. I admit to this tendency myself, with perhaps one important difference. For me, performance is the great common denominator. It is also the one key area where EA has failed to show any great insights into how these machines probably worked. Unless you consider all the negative attempts that show what doesn’t work. There are plenty of them around. Large parts of my own project are filled with such failures. And so, when it comes to experimenting with catapults, for me the bottom line is all about performance. Otherwise, what is it you have built? You might as well have made a nice drawing or computer graphic to illustrate your point. High energy catapults are not for everyone. There is always risk in such endeavors and it is best to be realistic about your capabilities. For those of us working on the extreme sport aspect of these machines, the dangers to life and limb are very real. Which, of course, is part of the appeal. So in short, there are substantial differences between catapults built for educational and display purposes and those few machines that concentrate on shooting projectiles with authentic levels of power and range. There is certainly nothing wrong with the former. Let’s just not confuse the two. That being said, appearances are important. On one level we are creating a test bed for experimentation, and on another we are attempting an artistic creation. Without this latter, the project would be a flat and soulless entity, and I make no apology for any authentic sensibilities that are offended by the aesthetics of what I am building. For example, I like the curvy bits on Firefly’s stock profile. They should be easily contained inside any reasonable parameter of how these machines may have looked. After all, no one really knows do they? If you are a rectilinearist and the curvy bits don’t work for you, so be it. Think of them as a reminder of the enormity of what we don’t actually know about these machines. The closed mind seems strong only to it’s occupant. (2) At times our work will show designs that may, at first glance, seem needlessly complex. If they are not the result of the aforementioned experimental aspects, they may be a form of thematic extension played out from well founded features that are apparent in the artifacts. For example, it is indisputable that all the kambestrions that have been found (other than one that was mis-cast) are equipped with four loops attached to their upright stanchions. These loops are a clear indication that the machines were able to be disassembled with a minimum of fuss (i.e. they are modular, take-aparts). If we respect this modular premise properly, it doesn’t make much sense to have only the kamarion and kambestrion be equipped with a take apart feature, when clearly other parts of the machine would also need a take-apart feature to make this design strategy a practical benefit. Ergo, other parts of our reconstruction should follow suit and be easy to disassemble. Now, does this mean we are over-engineering? Not so much, by my reckoning. Not if there are good reasons to include them. It is just a matter of honoring the intent apparent in the artifacts themselves. (3) A couple of actual catapult scholars have suggested that if modern reconstructions are not equipped with sinew springs, then pretty much, the whole exercise is worthless as we will never know how the originals performed. I consider this a fairly shallow objection. It is true in a certain absolutist way, but fairly uncomprehending of what it takes to get these mechanisms working at a high level. For example, take the subject of shooting accuracy. 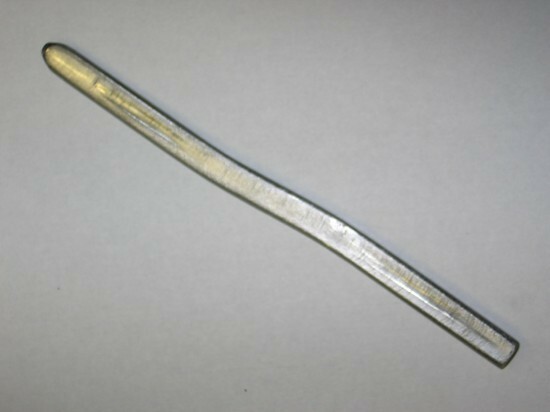 There is no reason to suppose that the ancients would not have made high quality sinew springs that were, at least when dry, stable and reliable power generators. This is not strictly provable as yet, but is a pretty sure bet for those of us that have actually worked successfully with nylon spring cord and dabbled with sinew a bit. And so, if we can suspend our disbelief for a moment, and take as a given that Roman springs, however they were made, were up to the task of consistently powering their machines, we might well ask, “what other myriad factors are there in making a ballista shoot accurately?”. And this, of course, is something we can test for very well. (4) I could go on, but let me just conclude with this: if you feel an objection rising in your throat, please make sure you understand where this project is coming from. While performance founded on parsimony is our ultimate goal, we have to be pragmatic about it. So to repeat myself: I believe it is more productive to utilize the minimum innovation necessary to generate authentic performance, and then after thorough testing, come back with reworks to make everything as historically plausible as possible without losing all that hard won performance. Your concerns over “authenticity” will be addressed eventually. The quickest way between two points is not always a straight line. This behemoth of a machine is without a doubt the king of all minimally-working, display ballistas. 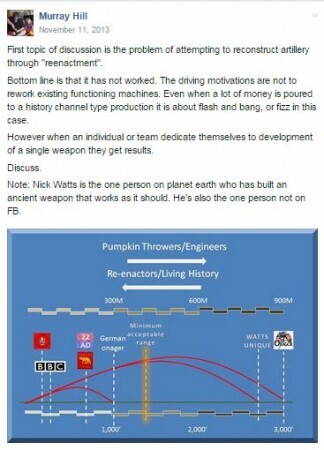 It was made for the BBC program “Building the impossible”. The scholarship that directed the project is generally considered as impeccable, and clearly the effort was very well funded. As I recall the range was about 120 yards, and only a few shots were managed before it became irreparable. I do not doubt there was a certain amount of dissatisfaction with that range of shot and longevity of the machine. Trying to balance authenticity in the build with authenticity in the performance is what makes this game tick. I truly wish them better luck with their next endeavor. Progress with catapult reconstructions is a process, not an event. But try telling that to a TV producer. Or, for that matter, a scholar trying to illustrate their pet interpretation of how these machines “must” have appeared. With all that said, I would like to extend my thanks to Murray and the other reenactors and scholars that have appreciated what I am attempting to accomplish with these reconstructions and experiments. I prefer not to mention names more than necessary, but you know who you are. Murray brings enough humor to the subject of ancient catapults, I found it hard to tell the difference between laughing and learning. Definitely not for catapult prudes or folks that can’t stand a good belly laugh mixed in with their scholarship. Just my cup of tea. And because this next book provided me with the inspirational backbone to keep going when the appeal of ancient torsion tech was at it’s lowest ebb, I highly recommend this modern classic by Dr. Tracey Rihll from Swansee University. Consume this over a long weekend and you will have a firm grasp on the history of catapults, what they were likely capable of, and how they affected the ancient world. Not many stones left unturned here. A dedicated work of scholarship, kept lively by the prudent use of imagination to help guide the reader into an appreciation of how vast are all the things we do not know about ancient technology. Not a snoozer like some. This little book by Duncan Campbell is a good primer on ancient catapults. 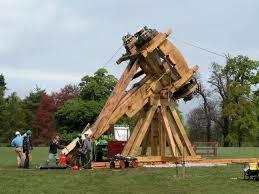 The author keeps a tight reign on any speculation regarding catapult theory and effectiveness. Although, it must be said, some of the illustrations depict machines with idealized versions of resting torsion springs, all very straight and ticketyboo. However, the book is well thought out in it’s presentation of the basic facts. It was my first introduction to the Orsova artifacts and it’s photos are what spurred me to undertake the Firefly project. I always keep it handy for quick reference. This wedge was placed under the crossbar rather than on top of it ala Philon. Note the impressed grooves in it’s surface where it contacted the underside of the crossbar. This particular crossbar also had a full radius on it’s bottom just like it’s top, so that’s what left these marks. Such are the forces of compression in the springs on an Orsova sized machine. (Well, at least our version of it.) The shallow “S” bend in the wedge was caused by the spiral in the spring that starts out on the underside of the crossbar. Of course with a Philon type wedge system the wedges are placed on top of the crossbar where the spring is highly controlled and there is no spiral to worry about. To the uninitiated, you may take it as gospel that right angled edges on the top of the crossbar would be pretty much fatal for the spring cord in high-powered ballistas. It is extremely doubtful that sinew would fair any better when forced to contend with focused stress points than nylon does. In my working with sinew I have yet to encounter any magical properties that would make it immune to chaffing. It is only a soft fiber after all. Just saying. Samuli Seppanen over at Ballista Wiki has seconded the use of Philon’s wedge system on Phoenix. I’m kind of tickled that someone else gets where I’m coming from on this idea. Here is the text of our conversation for any of you catapult nerds that may actually be reading any of this. Samuli starts off…. “The idea of adding wedges on top of the crossbars is an excellent idea! They make even more sense for the Emporion ballista than the Lyon ballista – have a look at these pictures. The Xanten ballista (see Bibliography) also has flat crossbars, but they are not as wide as those in Emporion ballista. In any case the flatness of the crossbars seems to be quite common, if not universal, feature. One would think that rounding the edges of the crossbars would help prevent damage to the cords, but maybe that is not necessary in practice with sinew cord. 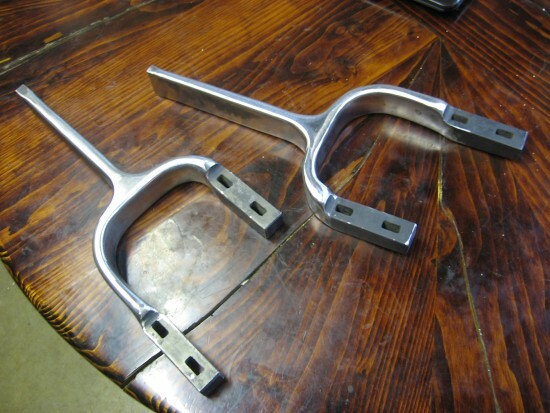 Or maybe the crossbars did have wedges on top of them – the wider the crossbars were, the higher the wedges could be made. This widening would of course come at the cost of reducing the amount of spring cord one could insert. The topmost wedge could be rounded at the edges, so that it would not cut the cords while being tightened. I don’t think the wedges alone could have provided sufficient cord tension without a stretcher, but they could be used to drive a bit more tension into the cords without having to resort to rotating the washers. 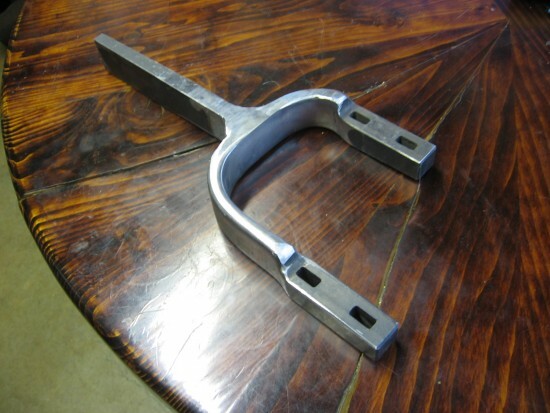 Actually, now that I think of it, having wedges in the crossbars would also allow fine-grained matching of the springs without having lots of locking holes in the washers and the hole carriers; one could just whack a wedge slightly with a hammer if a spring was slightly too weak. The same could be done in reverse to loosen the spring a bit. The same could be done in reverse. That said, the small number of holes in the Lyon hole carriers/washers could also be explained with the properties of sinew as I tentatively suggested earlier. Not that these two ideas are contradictory in any way. 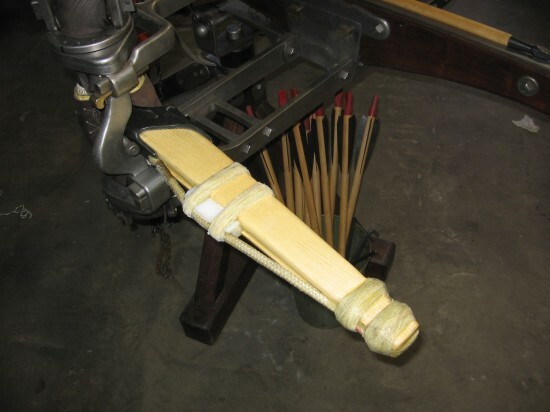 Once I reach the said 150 joules with nylon, I will start producing sinew cord, which will be a rather lengthy and dull process, even for a weapon of cheiroballistra’s size. However, it just has to be done, because it is the only way to say with (90%) certainty what the characteristics and the power of the real cheiroballistra were. Moreover, the results can be extrapolated to larger machines such as the Orsovo ballista. I’ve already planned on making a reconstruction of the Xanten (manu)ballista after the cheiroballistra, primarily because it was found in excellent condition and the book dedicated to it (see Bibliography) has a complete list of dimensions, assembly instructions, etc. done in a very precise German fashion. So that project should be way more relaxing and much, much quicker than the cheiroballistra project that required so much work, testing, failures and dead-ends on my part. And then I respond with my usual ebullience…. “…fine grained matching of the springs….” Yes! Finally I’m on the same page with someone whose work I respect. I am somewhat torn about including the counter washers. (I’ve stopped calling them vernier plates as it makes them sound so invented and new, when really they are no different than counter washers on a wood machine.) If Philon’s wedge system doesn’t work out for tuning I want some kind of back-up. It’s not like I am making the claim that Phoenix will be a perfect replica of how the original must have looked. This is the test-bed aspect of the work and not achieving a fine grained balance is just not an option on a precision shooting machine. So anyway, the parsimony police will no doubt cap me for including them. I’m just not comfortable with putting that much work into something and having no recourse if the Philon thing doesn’t work out. In my experiments with Firefly I discovered that once a balance was achieved and the bolt was flying straight, it was possible to add more rotation to the washers (so long as it was done equally of course on all four of them) and the balance didn’t change a bit. So here’s my hypothesis: because there are only 4 locking holes on the Elenovo field frames, start off with the washers locked into position at a reasonable​ low power setting, perform all the wedge adjustmemts to achieve balance, and then rotate the washers into a high power setting, maybe as much as 180 degrees or so. I believe the balance may well transfer right through all that rotation. If it can be shown to work, I could ditch the counter washers, and be back in the parsimony game with some high power to boot. The Kamarion for our Elenovo reconstruction is all finished, other than the holes in the main spar that will be the attachment points for the struts per the Kayumov/Minchev paper. Mr. Kayumov, along with Samuli and others, have taken exception to my proposed use of vernier plates (i.e. counter washers). If Phoenix is to gain any credibility as an authentic reconstruction it seems I must do away with them. Fair enough. I get it. 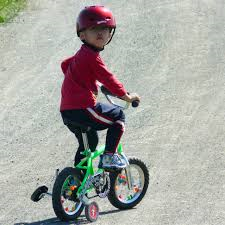 Some folks think it’s time to lose the training wheels. Currently there are other plans afoot that will eventually eliminate their encumbrance. Vault forward, work back with your corrections. It’s not unlike software development. We’ll figure our old vernier plates are version 1.0 if we can get a wedge system proofed out. Perhaps for the duration of their continued usefulness I should just correct my terminology and start calling them counter washers. That would make them more consistent with the “narrative” would it not? The counter washers are the steel rings with lots of holes for fine adjustment of the washers. Perception of terminology is a funny thing, often fraught with negatives and positives. Vernier plates/counter washers, global warming/climate change. Start out with an inflammatory term and soon you are stuck with it. A trap best avoided. It only breeds judgementalism where there should be openness. My bad. Calling them “Vernier Plates” was a little pretentious, even for me. The wisest comment I have yet heard on this whole authenticity issue comes from fellow catapultist Murray Hill from New Zealand in his book Codex Catapulte. “Studying catapults is like trying to rebuild the Second World war with a rifle, a pistol, a howitzer and a stack of Commando Comics.” In other words, the unknowns are vast. Thus we all cherry-pick to make our arguments stick. In experimental archaeology clearly it is best to pursue the simplest solutions. Up to a point that is. It is very easy to glibly suggest that a particular approach is over-engineered. At the moment the field is riddled with machines that proclaim their authenticity based on wrote adherence to certain ancient texts, yet all of these machines (and I do mean all) come no where close to living up to the performance of the originals. These machines we can conclude are under-engineered. Paper Tigers I call them. Samuli Seppanen over at Ballista Wiki may be an exception to this trend as he is closing in on some impressive stats with a small handheld inswinger. He is not there yet, but I’m rooting for him, and anyone else that can blow the lid off this field of research and generate authentic levels of performance with practical, historically plausible methodologies. When it comes to understanding catapults, I believe the truly valuable experimental archaeology projects are a balancing act between the pursuit of absolute parsimony (the ivory tower syndrome) versus the minimum innovation needed to build an “authentic” level of performance with modern materials. Again, with modern materials, adaptions are inevitable. Absolutism is not productive, making the perfect the enemy of the good, and all that. In a nutshell, that’s the game I’m playing. Trying to understand what makes these machines tick, not pretending I’ve created the perfect replica. If you are a playing a different game, more power to you. RE: the spelling of Kamerion. It has been pointed out to me that Kamerion is actually spelt Kamarion. There seems to be some room for variation here as no less an authority than Battz prefers the “E”. Color/colour, it’s all of a piece isn’t it? But I’m easy. If I can remember, I’ll change up to “Kamarion” in future. 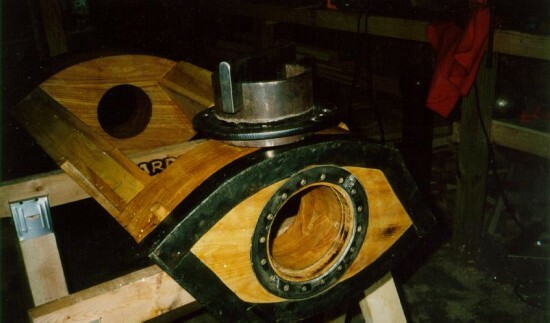 The angled cuts either side of the arch give 30% more weld line for strength. All that’s needed is to grind in some heavy chamfers for the weld prep and it will be time to Tig this Kamarion together. Visible progress is always a tonic. When struts are installed a few inches out from the arch, this whole framework will become exceedingly robust. There will be no bending of the Kamarion as there was with Firefly. No avoiding the heavy draw weights though — moon shots require high octane torsion. 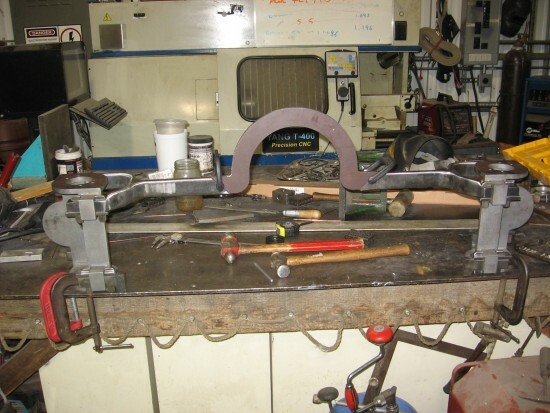 After some more blending of the curvy bits, it will be time to weld in the arch section. The steel used here is 4140 and it has had a post weld, stress relief treatment of 1200 degrees F for two hours, with a nice slow cool down overnight in the furnace after it had been turned off. 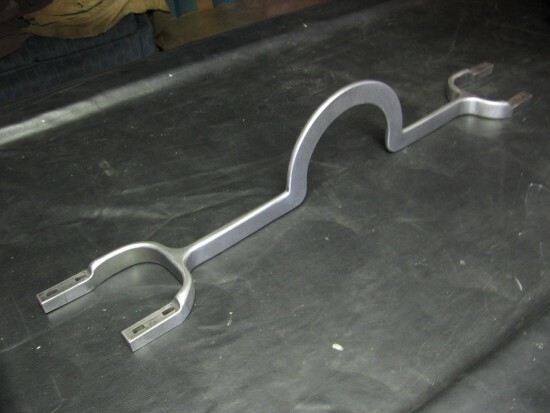 Before Tig welding, the components had a preheat of 500 F to eliminate stress cracking in the 4140. Weld rod was ER70S. Multiple tacks, along with slowly building up the fillet by alternating from one side to the other, was rewarded with no discernible warpage and the tangs fit back into the loops on the field frames pretty near perfectly. Currently these parts are in the annealed state so they are fairly ductile, at least for 4140. They will be plenty tough for our purposes just as they are. And that’s the way we do it in the twenty first century — workaholic electrons and a billion spools of copper wire. The port fork of Phoenix’s Kamarion has started to take shape. Much more hand grinding is needed to make everything blend nice and purty, just like Heron (or was it Philon?) instructs. Appearances are important if you want the Emp to be impressed. If looks could kill, and all that. And because there are two sides to everything…. De Rebus Bellicis promoted new classes of super weapons to defend the Empire. Propaganda and polishing very often go hand in hand. Everything shiny and ticketyboo — it makes the people feel safe and helps keep the polity stable — knowing that their brave legions can keep the barbarians at bay. And so, I polish on in the belief that not all ancient Roman ballistas from the Fourth Century looked like rough hammered brutes, blackened with scale and straight from the forge. If you want to make the ladies of Rome weep with relief, make your super weapons fit for parade. Make them twinkle in the sun. More people will see them that way. And on the frontier, the Barbs will be intimidated by all the well maintained machines pointing out from the looming guard towers; especially if your balistarii can manage to nail a few of them to trees from 300 yards or so. That was the story anyway. So polish on MacDuff. Empires are so darned costly to maintain.